Ubuntu Speech Recognition app is shaping up nicely. 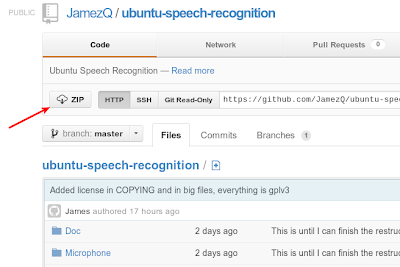 During the first video preview of the Ubuntu Speech Recognition software, author did promise open sourcing of the app. He has kept his promise. 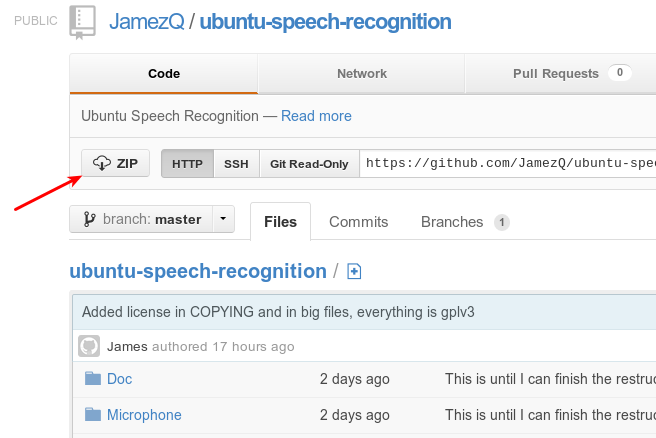 Ubuntu Speech Recognition is now open source and is licensed under GNU General Public License Version 3 aka GPLV3. See github page for more information. Installation instructions for Ubuntu Speech Recognition app can be found below. Goto the app's GitHub page and download the ZIP file. Unzip the file and CD into the directory. See screenshot below for reference. Now, install the following dependencies. Just copy-paste the command in Terminal. Done. Read README.txt file for more information. Now, run ./setup while in the ubuntu-speech-recognition-master directory, in Terminal. see screenshot below for reference. Done. 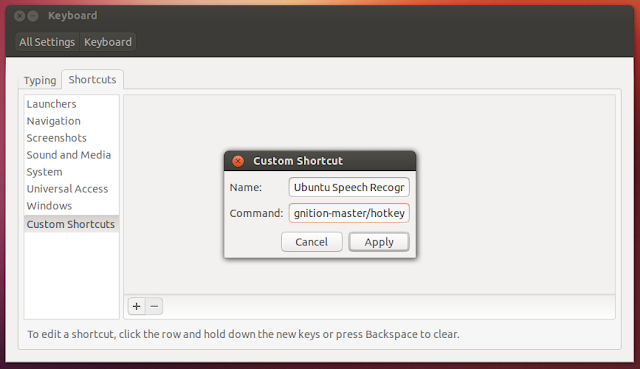 Now, you have to set up the launch key for Ubuntu Speech Recognition. Select 'Shortcuts' tab Hit the '+' button seen towards the bottom. Give it a name and in the Command field, enter the absolute path of 'hotkey' file (located in the original directory). Apply. Click on the 'Disabled' text and enter a new accelerator aka shortcut key combination. Mine was Alt + H, you can choose one that meets your use-case. Press the hotkey before AND after you speak. 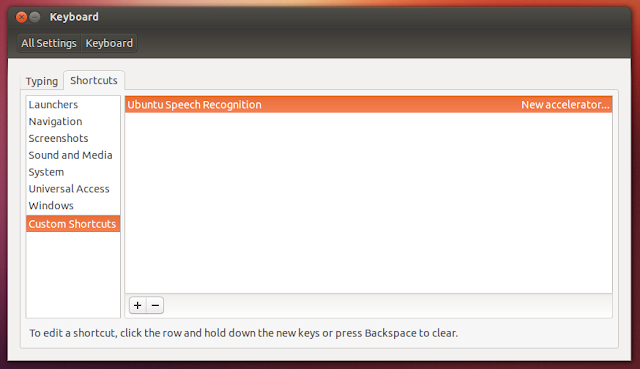 Not everything that was showed in the first preview video of Ubuntu Speech Recognition works at the moment. Plugins support is still at its nascent stage. 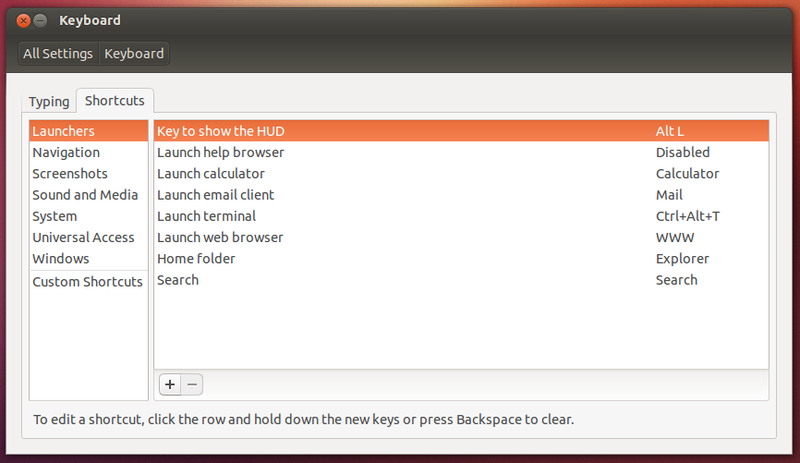 I was able to execute basic commands such as "open home", "open documents" etc. Once the app gets updated and has a concrete plugins support, we'll let you know. Stay tuned.